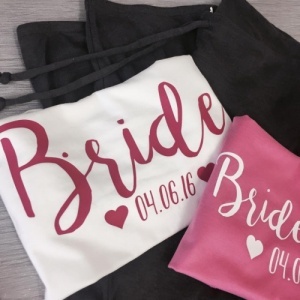 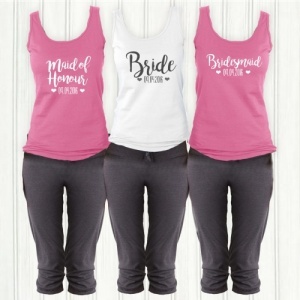 You can't have your pre-wedding bridal sleepover without these fantastic Lounge Sets. 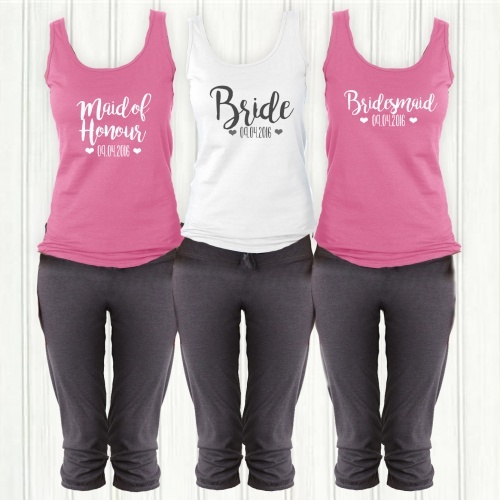 The comfy material is fantastic for sleeping and lounging in on the night before or morning of your wedding. 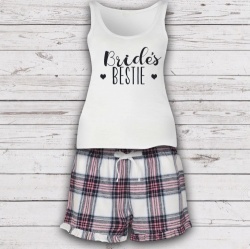 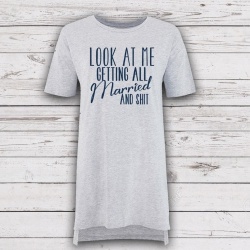 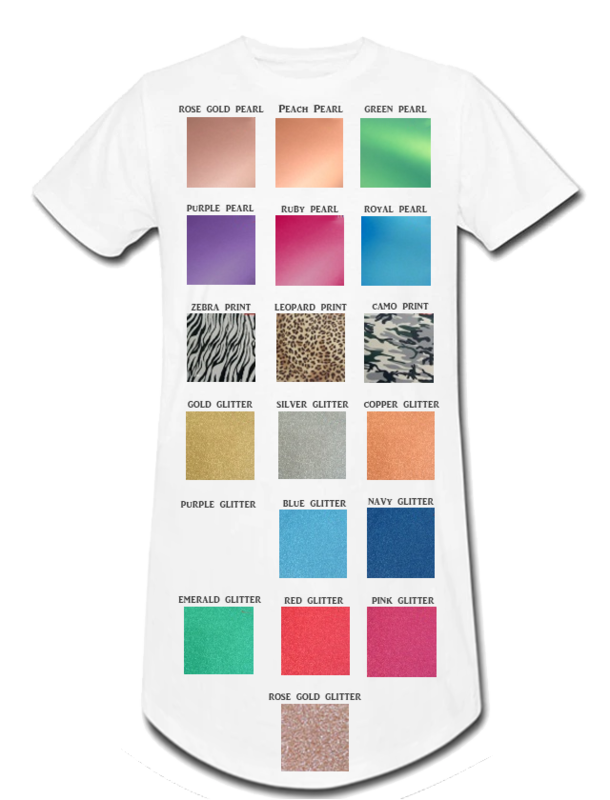 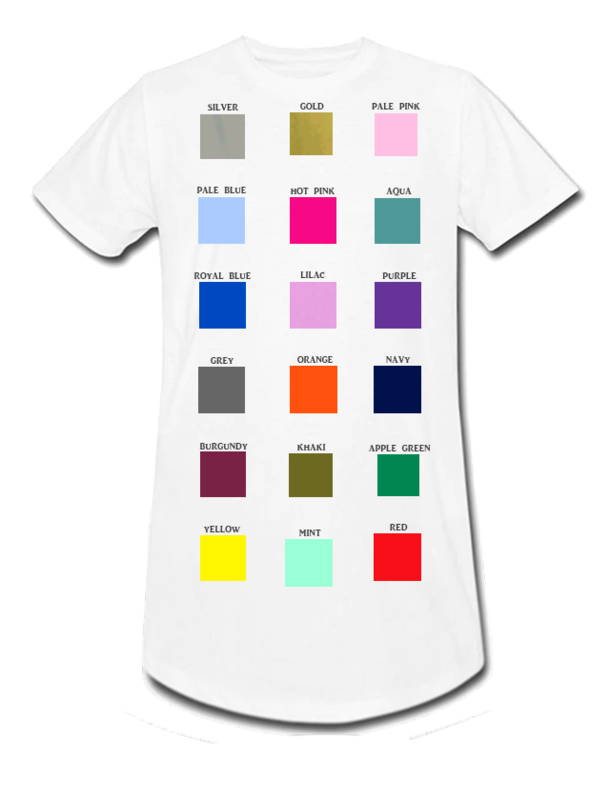 * Order a matching children's t-shirt in a few sizes above and use as a night shirt for your younger bridal party members, the children's version of this set can be printed with their role and personalised the same as the adults.